It is located on Mesnevihane Steat Tevkii Cafer District. As it is understood from the inscription on its door, the mosque was contructed on the order of Sheihk Mehmet Murat Efendi, in 1844. The walls are in masonry and the roof is wooden. The shape of the alem (the crescent and the star on top of minaret) is like a coin. The interior land is 58m square whereas the exterior part is 421m square. The fountain in the garden was built on the order of Sheihk Murat. It is written on the inscription found on the marble ring of the reservoir that the reservoir was constructed in 1852 on the order of Nevfidan Hatun; one of the first ladies of II. Mahmut and today it is stil full of water. 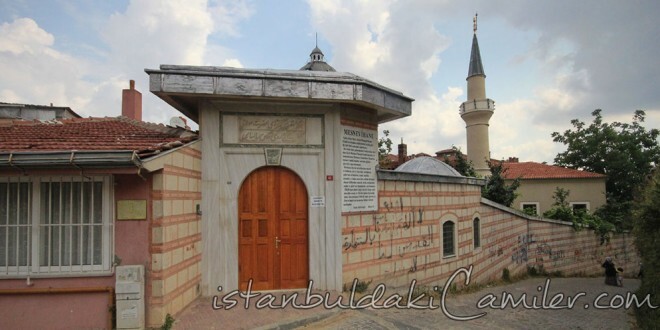 Sheihk Mehmet Murat Efendi had this mosque and its 8 roomed outhouse, the kitchen and the stable, built fort he purpose of expounding and teaching the Masnavi of Mevlana Celaleddin Rumi. The mosque went through major restorations after it had burnt down in the big Istanbul conflagration, and in 1968 the building was renovated again together with the minaret nad the ceilings. The mihrab is plastered, the minbar is wooden and there are also the Muezzin and the Ladies section. There is a well in the garden that is out of use and a tap that’s not working anymore.